Many companies run PPC campaigns for their lead generation or direct sales. And rightly so, these campaigns can catapult a business’ sales and enquiry levels as these case studies show. Of course, it’s our job at Forrest Digital to ensure that client AdWords accounts are well optimised, and running successfully. We know the major pitfalls and how to avoid them, so if you’re thinking of diving in and running campaigns yourself, you might want to read our advice on avoiding a few of the ‘deadly sins’ that may be wasting your money or contributing to bad decision making about your campaigns. Google shows you recommended selections as soon as you sign-up, but accepting them as though they are in your best interests is a mistake. Recommended campaign settings which automatically opt you in to the Display network as part of a “Search & Display” campaign are usually not optimal to say the least, and you can only get the control you need of when and where your ads will appear by avoiding Standard settings and opting for Advanced. If you sell red, blue and yellow widgets, and you have a single ad for widgets, that ad is not as attractive to a prospective buyer of red widgets, as a specific ad all about red widgets would be. The more closely matched the ad is to the search term, the higher the click through rate (CTR) will be. CTR is just the number of clicks divided by the number of times the ad appears, expressed as a percentage. And in AdWords, CTR has an inverse relationship with your click prices i.e. the higher CTR, the less you will pay per click. So ditch those generic ads and get specific! All too often the lack of specific ads, and acceptance of default settings, is compounded by a lack of a keyword matching strategy. You need to tell Google whether you want a search for your keyword “red widget” to show your ad only when that exact phrase is typed in, or if it’s OK to show the ad if someone were to type “cheap red widget”. The default settings will show your ad for “cheap red widget” but if that’s not your thing, and you don’t tell Google that, not only do you risk showing your ad to people who are not your prospects but you probably just lowered your CTR too by showing a less than highly relevant or appealing ad to someone looking for “cheap red widget”. And CTR as we have just said, directly impacts your costs. Another way to stop your ad appearing for “cheap red widget” would be to add the negative keyword “cheap”. One of the biggest oversights is not to add in negative keywords initially, and even if you do, not continuing to do so as the campaign progresses. Google provides the tools to make this quite a straightforward process, so make sure you know how to use them. Most advertisers set-up one ad group with just a single text ad. Which is rarely, if ever, updated. As no two ads ever have exactly the same performance, one of them will perform better! Using two adverts, you can split test them and measure which one gets the best CTR or generates most leads. Developing this process is one of the major keys to excellent results. Why would anyone expect to write the best possible ad on their first attempt? Another big mistake is having a fantastic advert set up but not sending the click to the most appropriate page on your website. If someone searches for “red widget” which of these pages would probably perform best? Home page about the company and all the different types of products and services available. It’s fairly obvious that most of the time it would be c. So, pay attention to choosing the right page. The ideal page may not exist, and if not you might need to create it or get someone else to do that. Another nail in the coffin of landing page effectiveness is designing them in a way that makes it difficult for the visitor to take the next step. First of all, make sure you know what you’d like the visitor to do when they land on the page, and then make it easy! Examples include hiding phone numbers and forms on a different Contact Us page. The final tips, for now, are to make sure you have a good understanding of how many leads and clients your ads are generating, as well as what it is costing you and what new revenues are being generated. 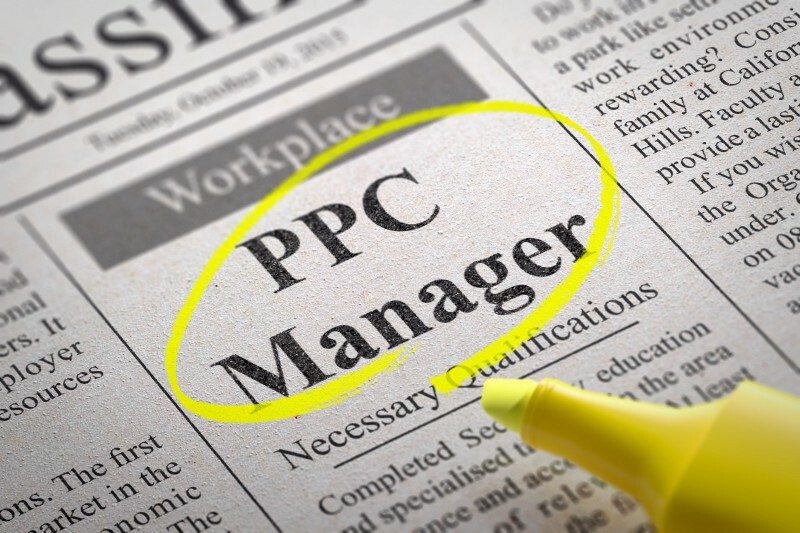 Advertisers often focus on cost per click as a measure of how well a campaign is performing. But if you don’t know how many clicks you need to get a lead, or how many leads you need to get a client what value is it really to know the cost per click? With Google Analytics, you are provided (for free) just about all of the tools you need to measure this. So, make sure you understand them, and in particular how to set up Goals. Another key question, although not one Google can help you with, is whether you understand on average the lifetime value of a client. If you do it can radically transform the decision you make about whether your ads are profitable or not. If you recruit a new customer with your ads it makes a big difference to the return on your ad spend whether, on average, they buy from you once or ten times. Here’s hoping that some of these tips help point you in the direction of greater AdWords success. We’re also able to run a free PPC review for you, so please get in touch if you’d like to take a look at getting started!